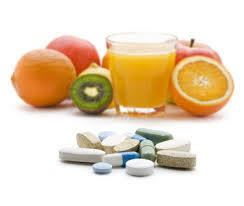 Why Do We Need To Take Supplements For Optimal Health? It's hard to believe that there are some poeple who still ask the question: Why do we need supplements? There are still many individuals who think that they are getting all of the nutrients they need from their diets, despite mounting evidence that that is just not the case. But you can't really blame them. After all, we've always been told that if we eat our fruits and vegetables, lean protein and whole grains, we'll be all set. But this couldn't be further from the truth. You see, the body needs a diverse array of nutrients to perform at optimal levels...vitamins, minerals, amino acids, cofactors, etc. And not only do we need all of these important nutrients, but we need them in the ideal amounts, and all of them have different requirements. In a perfect world, we would get all of these nutrients from our diets...but no matter how hard we try, we can't possibly achieve this. Here's why. The reason we all need supplements, whether you eat at McDonalds for every meal or you are the strictest Vegan, is that the nutrients your body needs are simply not present in your food. You may be getting some...you may even be getting many, but you're absolutely not getting ALL of them. Why? Because much of the food we eat never contained the nutrient diversity it should have in the first place. Farmers simply don't have the time or the resources to ensure that their crops grow in the ideal conditions. Soil is lacking in nutrients, which means the crops are as well. Overplanting, a common practice, also depletes whatever nutrients are in the soil, so each crop has less nutrients than it would have in ideal planting conditions. The same is true with livestock. Their living conditions are oftentimes substandard. Their feed is nutrient poor. They are injected with antibiotics to keep them healthy and hormones to make them grow fat. Do you think a lean steak from that animal is going to be healthy for you? Of course not. Sure, it will have amino acids and other nutrients, but those nutrients will be of poorer quality than those derived from a well raised cow with a high quality diet and ideal living conditions. Circling back to the crops, let's say for arguments sake that you get your vegetables from a farm with nutrient-rich soil, without any pesticides and other chemicals, organic practices, and any other best case scenarios. Keep in mind that this is rarely the case. So you're starting out with fruits and vegetables that are packed with healthy nutrients. Then what? Well, now it has to get to your local grocery store. At some point post harvest (we don't know how long) a truck arrives and transports all of the produce to a central location. It is then delivered to your store locally, or driven interstate or even flown out of the country. This adds even more variables to the equation. How long did the produce sit there before it was picked up? How long did it take to get to my local market? Was it stored and handled properly throughout? Was it refrigerated throughout the process? How long has it been sitting on the store shelf? There is a lot that transpires from the day the farmer pulls that tomato off the vine and the day you pluck it from the shelf because it looks and feels a little better than the rest. During that time, nutrients are lost. Each hour that ticks by, each temperature change, each separate handling...all of these zap these important nutrients from that vegetable or piece of fruit. So even if that produce came from the best farm in the world, unless you ate it round out of the ground, it would not contain all of the nutrients it once had...and this is why we all need supplements in a nutshell! Everybody needs supplements. No matter who you are, where you live or how you eat, you are lacking in some important nutrients. You are not getting all of the vitamins, minerals, amino acids or other nutrients that your body needs to perform at optimal levels. Will you die without them? Of course not. There are millions of people who don't even take the most basic multivitamin. But you can be a lot healthier than you currently are if you take a high quality supplement that provides the nutrients that you are currently lacking. What's the takeaway here? Despite what we've been told all of our lives, we can't get everything we need from the food we eat. With modern day practices, it's simply impossible for our foods to contain all of the nutrients they should. And that's not going to change any time soon unfortunately.